Congratulations to MSMS students Grace Ann Beech, Cade Burton, Connor Chitmon, Caleb Colley, Austin Cosby, Alan Elgin, Victoria Gong, Lane Hughes, Maria Kaltchenko, Timothy Lewis, Kaelon McNeece, and Hamilton Wan on being recognized as STAR Students (Student-Teacher-Achievement Recognition Program). 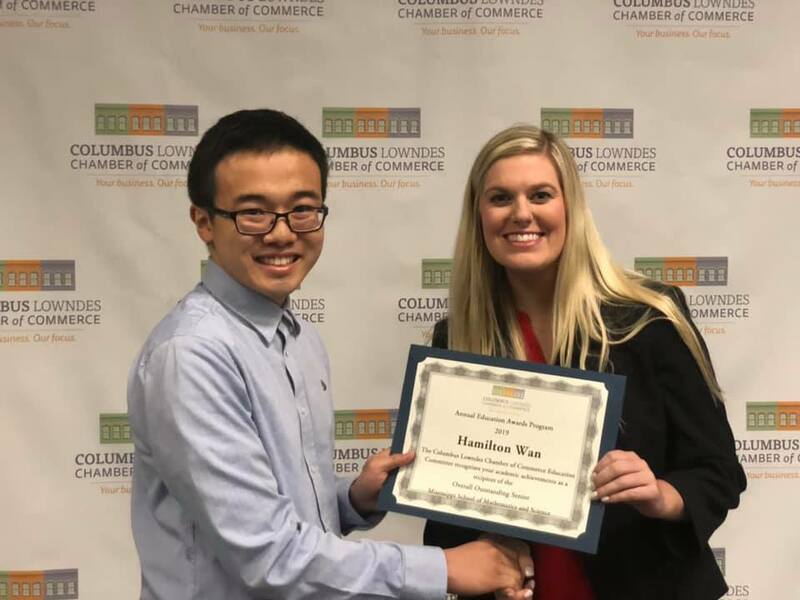 These STAR students were recognized for their academic achievement among the state’s high school students at the 2019 Mississippi Economic Council’s Education Celebration. According to the MEC website, STAR students must have an ACT score of 25 or higher and an overall grade average of 93 or above in selected subjects in the ninth, tenth, eleventh, and first-semester of twelfth grade. Each STAR Student is asked to designate a STAR Teacher – the teacher who has made the greatest contribution to the student’s scholastic achievement. This year’s STAR teachers are Dr. Philip Benge, Mrs. Shae Koenigsberger, Dr. Elizabeth Morgan, Mrs. Emma Richardson, Mr. Chuck Yarborough, and Mrs. Lauren Zarandona. The Mississippi Economic Council (MEC) and the M.B. Swayze Foundation sponsors the STAR Program. The theme for the 2019 Education Celebration was Reach for the Stars. Each STAR Student received a medallion, lapel pin and certificate in recognition of their achievements. A cemetery tour by candlelight among historic grave-sites may seem like the setting for a Hollywood horror movie, but one such tour takes place far from California and involves history rather than horror. The setting for this performance is Friendship Cemetery, located in Columbus, Mississippi. This year, students from the Mississippi School for Mathematics and Science are producing the highly anticipated 29th Annual “Tales from the Crypt,” winner of the Governor’s Award for Excellence in the Arts and national finalist for The History Channel's "Save Our History" Award. “Tales” has also been featured on NPR’s “All Things Considered,” published in The Atlantic, and highlighted in James and Deb Fallows’ Bestseller Our Towns. “Tales” is being held in conjunction with the annual Columbus Pilgrimage which runs from March 28 – April 6. 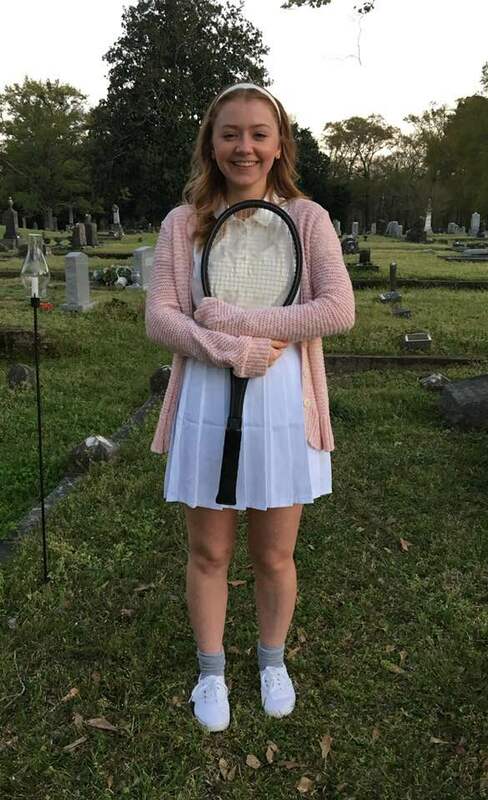 Beginning last fall with the start of the school year, 48 MSMS students in three 11th grade U.S. history classes embarked on a project which included researching and rehearsing to bring Mississippians buried in Friendship Cemetery “back to life” through dramatic performances. Ten of the students were chosen to develop their characters this spring for visitors to “Tales from the Crypt.” Other researchers will serve as cemetery tour guides leading visitors among the performers. “Tales makes history personal for the students as well as the community,” said Chuck Yarborough, a member of the social studies faculty at MSMS and the project’s director. Through research in the extensive local history resources at the Columbus-Lowndes Public Library, Yarborough’s students learn more than just history. This was the plan of the project’s creator, the late Carl Butler, a former colleague of Yarborough’s. Profits from program admissions are donated to charitable causes designated by the students. Over the past 5 years, “Tales” has raised over $30,000 for charity. The students selected to present their intriguing characters are performing during Pilgrimage on the evenings of March 29, April 1, 3, & 5 from 7-9:00 p.m., in Friendship Cemetery on Fourth Street South, Columbus. Tickets are available on site and are $5 for general admission, $3 for students. For more information on “Tales from the Crypt” or the Columbus Pilgrimage, contact the Columbus Cultural Heritage Foundation at (800) 920-35331, or visit their website at <www.visitcolumbusms.org>. FOR MORE INFORMATION ON TALES FROM THE CRYPT CONTACT CHUCK YARBOROUGH AT MSMS, 662-329-7360; FOR MORE INFORMATION ON COLUMBUS PILGRIMAGE, CONTACT NANCY CARPENTER AT THE COLUMBUS CONVENTION & VISITORS BUREAU, 662-329-1191.